Home Is this really Gen. Buhari in London? Is this really Gen. Buhari in London? Is this really Gen. Buhari in London? Dem opposition party people have been circulating this photo online claiming that is Gen. Buhari as he arrived UK yesterday. Is that really him? Tags # Is this really Gen. Buhari in London? 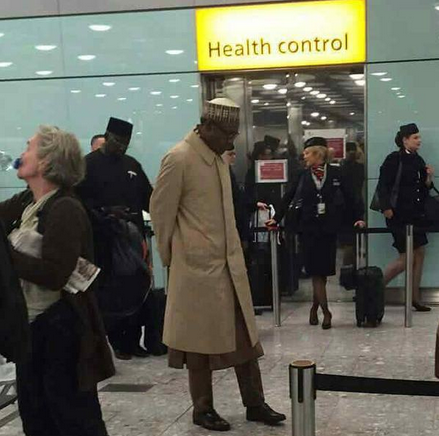 Labels: Is this really Gen. Buhari in London?